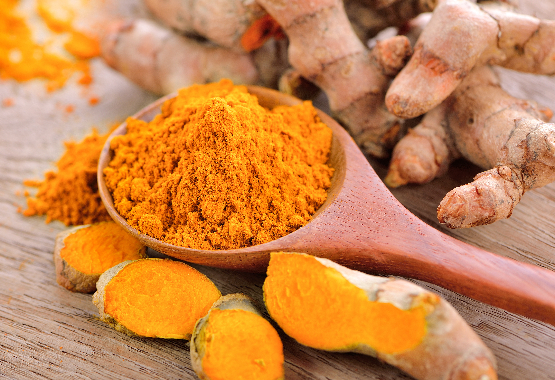 Here at Turmeric Vitality, we talk a lot about turmeric and the beneficial role it plays in helping to reduce inflammation. Chronic inflammation occurs when the body’s inflammatory response goes into overdrive, and left unchecked, can lead to serious injury to the tissues of the body such as those in the gut, lungs and brain. In this post, we’re going to talk about the conditions (inflammatory and otherwise) that affect the brain, and what positive effects turmeric, and its active ingredient curcumin, can have on them. Neuroinflammation (inflammation of the brain and central nervous system) has been linked to depression in several major studies. It’s an area of research that has opened up the thinking into how depression begins, and takes hold, in an individual. Depression may have a genetic cause but the thinking now is that some depressive mood disorders could have different contributing factors. These are thought to be linked to an imbalance in ‘cytokines’, chemicals released by the white blood cells in response to inflammation. Neuroinflammation is the response of the brain to injury, infection or disease when it’s trying to reduce damaging agents or repair damaged tissue. A ‘neuroprotectant’ is a substance that helps to repair damage to the brain; damage whether by physical trauma, or diseases such as Alzheimer’s. Curcumin, which can cross the blood-brain barrier, has been shown in studies to have a neuroprotective and anti-inflammatory effect by balancing the functions of cytokines. When these are more balanced, the chances of them causing conditions such as depression and mood disorders are reduced. Curcumin doesn’t only have a positive effect on depression relating to inflammation. Studies have also shown that it also helps fight depression via other pathways. One study showed that curcumin increases the levels of the ‘happy hormones’ dopamine, serotonin and norepinephrine (noradrenalin). These happy hormones help reduce stress and stress-related mood disorders. Another study found curcumin increased levels of the protein Brain Derived Neurotrophic Factor, or BDNF. Low levels of which have been shown to cause depression. Our immune system uses a type of white blood cell called a ‘macrophage’ to engulf and digest unwanted substances around the body. This debris includes bacteria, potentially cancerous cells (to a degree) and old, dead cells. Macrophages are an effective bodily vacuum cleaner! Chronic brain inflammation causes a build-up of cytokines and a protein called beta amyloid, which forms beta amyloid plaques. Macrophages normally clean up these plaques but in patients with Alzheimer’s, this mechanism is broken. These plaques then start to collect around the nerve cells and neurons of the brain. Curcumin has been shown to reduce the levels of beta amyloid plaques and increase the function of macrophages in mopping them up. They’re early studies, but very encouraging. It’s little coincidence that Indians, who eat high levels of turmeric daily, have one of the lowest rates of Alzheimer’s in the world. Free radicals are toxins that enter the body via pollution, chemicals and other toxins. They’re linked with cell damage and certain diseases. Antioxidants neutralise these free radicals and curcumin is a well-researched antioxidant. Free radicals are known to play a role in the neurological diseases Alzheimer’s, Huntington’s and Parkinson’s. Animal studies have shown exciting results, where curcumin has significantly reduced neurological damage caused by free radicals. More human studies are needed to further this research but it’s an exciting area of discovery. Curcumin has also been linked with an ability to bind to heavy metals such as lead and cadmium. Heavy metals can have toxic effects on the brain as we get older, and anything that can eliminate these from the body will help reduce the risk of age related brain conditions. Cholesterol levels often also rise as we get older, which is also linked to the development of beta amyloid plaques in the presance of inflammation. Curcumin has a known positive effect on cholesterol and thus indirectly helps prevent the formation of plaques in this way too. One study of 60 healthy adults, showed that one hour after being given 400mg curcumin in supplement form, attention span and memory were significantly improved. The cognitive function (the brain processes required for perception, memory, judgement and reasoning) was measured with specific tasks before supplementation and then with the same tests an hour after supplementation and the increase was remarkable. The same subjects also showed a marked improvement in mood too, after four weeks of daily supplementation. They all scored more positively in rates of “calmness, contentedness and fatigue induced by physical stress”. So, we can see that curcumin has many brain-boosting effects, especially in an ageing population. Age-related brain conditions are a worry for many of us, either for ourselves or for loved ones. Curcumin’s ability to reduce depression and other mood disorders, beta amyloid plaques, free radicals, oxidative stress, inflammation and its ability to act as a neuroprotector all stack up as quite incredible, don’t they? As we always say, the more research the better, but we think turmeric is already exciting enough to be adding to your daily routine. Besides, it’s been used in traditional medical practices such as Ayurveda for centuries. Hurley, Laura L., and Yousef Tizabi. 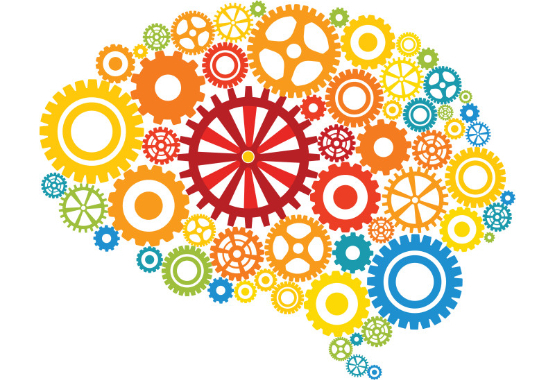 "Neuroinflammation, Neurodegeneration and Depression." Neurotoxicity research. U.S. National Library of Medicine, Feb. 2013. Web. 06 Mar. 2017. Zhou, Hongyu, Christopher S. Beevers, and Shile Huang. "Targets of curcumin." Current drug targets. U.S. National Library of Medicine, 01 Mar. 2011. Web. 06 Mar. 2017. Gupta, Subash C., Sridevi Patchva, Wonil Koh, and Bharat B. Aggarwal. "Discovery of Curcumin, a Component of the Golden Spice, and Its Miraculous Biological Activities." Clinical and experimental pharmacology & physiology. U.S. National Library of Medicine, Mar. 2012. Web. 06 Mar. 2017.